Rio Grande do Sul ([ˈʁiw ˈɡɾɐ̃dʒi du ˈsuw]; lit. 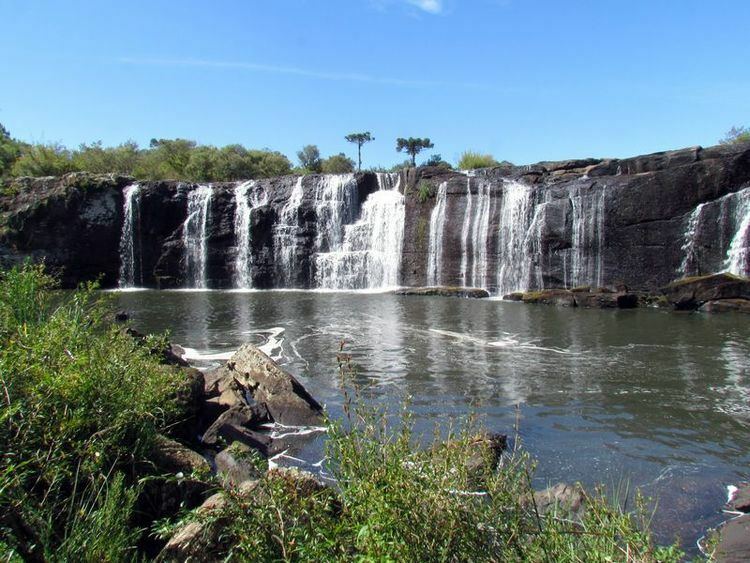 Great Southern River) is a state located in the southern region of Brazil. It is the fifth most populous state and the ninth largest by area. Located in the southernmost part of the country, Rio Grande do Sul is bordered clockwise by Santa Catarina to the north and northeast, the Atlantic Ocean to the east, the Uruguayan departments of Rocha, Treinta y Tres, Cerro Largo, Rivera and Artigas to the south and southwest, and the Argentine provinces of Corrientes and Misiones to the west and northwest. The capital and largest city is Porto Alegre. The state has the highest life expectancy in Brazil, and the crime rate is considered to be low. 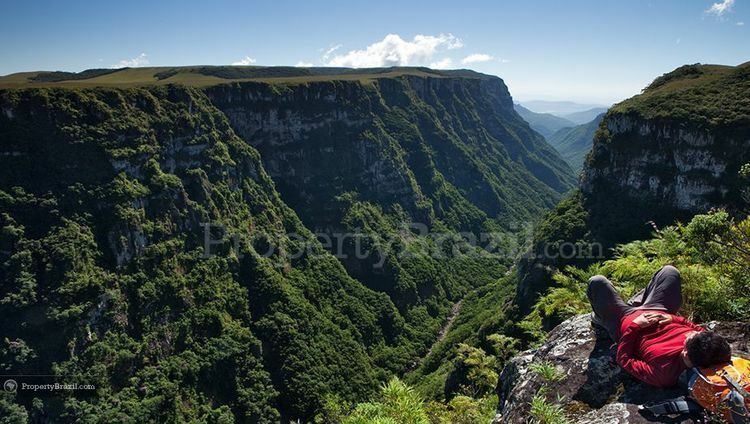 Rio Grande do Sul is bordered to the north by the Brazilian State of Santa Catarina, to the east by the Atlantic Ocean, on the south by Uruguay, and to the west by Argentina. The northern part of the state lies on the southern slopes of the elevated plateau extending southward from São Paulo across the states of Paraná and Santa Catarina, and is much broken by low mountain ranges whose general direction across the trend of the slope gives them the appearance of escarpments. 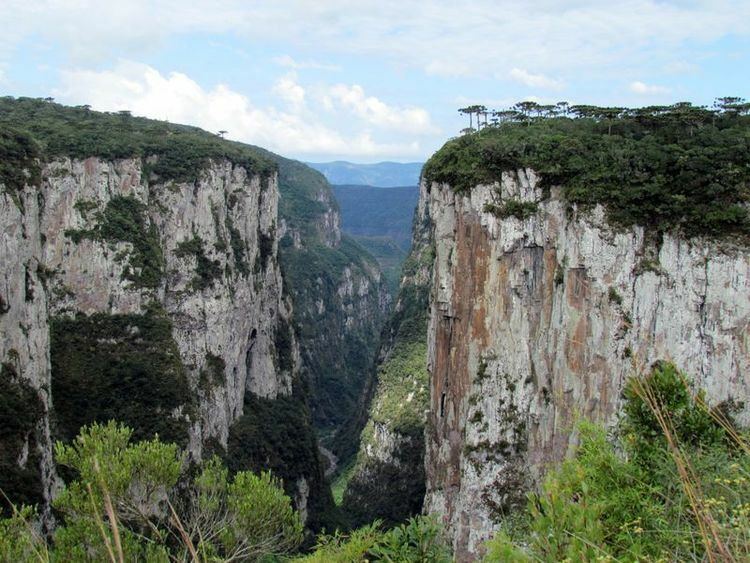 A range of low mountains extends southward from the Serra do Mar of Santa Catarina and crosses the state into Uruguay. West of this range is a vast grassy plain devoted principally to stock-raising – the northern and most elevated part being suitable in pasturage and climate for sheep, and the southern for cattle. East of it is a wide coastal zone only slightly elevated above the sea; within it are two great estuarine lagoons, the Lagoa dos Patos and Lagoa Mirim, which are separated from the ocean by two sandy, partially barren peninsulas. The coast is one great sand beach, broken only by the outlet of the two lakes, called the Rio Grande, which affords an entrance to navigable inland waters and several ports. There are two distinct river systems in Rio Grande do Sul – that of the eastern slope draining to the lagoons, and that of the Río de la Plata basin draining westward to the Uruguay River. During the Brazilian Colonial period, the province of South Rio Grande was the scene small wars and border skirmishes between Portugal and Spain for the region, the Sacramento Colony, and the Guarani Missions. It was also a focal point for internal rebellions in the 19th and the early 20th centuries. Spanish settlement began in the River Plate area. Consequently it followed the course of the Plate and its tributaries, especially the Paraná and Uruguay rivers. The Spanish introduced livestock into the area which escaped into the plains and attracted gauchos to the region. These escalated into full rebellion in 1835. In 1834, the Imperial government issued an "Ato Adicional", allowing for elected Provincial legislative assemblies. The first gaúcha Legislative Assembly, inaugurated in April 1835, quickly confronted the Provincial President (appointed by the Regency on behalf of the Emperor, who was a minor). Rebellion broke out in the province on September 20, 1835; giving up hope of redress of the situation by the Imperial Government, the gaúchos proclaimed independence of the Piratini Republic on September 11, 1836. In 1930, State President Getúlio Vargas, after unsuccessfully running in the presidential elections against the candidate of São Paulo, Júlio Prestes, led a revolt against the Federal government, and succeeded in overthrowing it. This eventually led to the Vargas dictatorship in 1937 and the period known as the Estado Novo. What is now the Rio Grande do Sul Military Brigade fought on the side of the state leadership, and as a result was never reformed, becoming the only state military formation aside from the Military Police commands in the other states. The Brigade also took part in the coup attempt of 1961 and the military coup in 1964. According to a genetic study from 2013, Brazilians in Rio Grande do Sul have an average of 73% European, 14% African and 13% Amerindian ancestry, respectively. 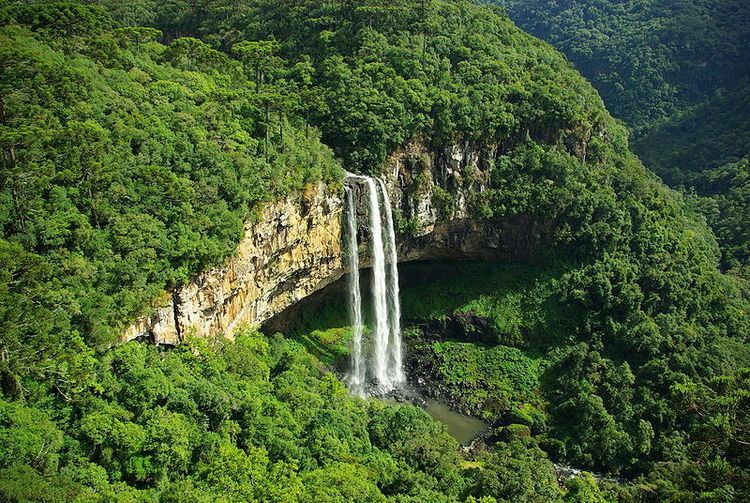 As of 2013 there are fewer than 30,000 Nisei in Rio Grande do Sul. Japanese immigrant families from São Paulo State began arriving in Rio Grande do Sul in the 1930s. In 1956 the first 23 official immigrants came to the state, and 26 families arrived at Rio Grande in the years 1956 through 1963. In 2013 Peter B. Clarke, author of Japanese New Religions in Global Perspective, wrote that "Nowadays we cannot speak of a Japanese colony in RS." There are more than 100 universities in whole state of Rio Grande do Sul. Other parts of the state have a slightly different culture, influenced mainly by German or Italian immigrants. 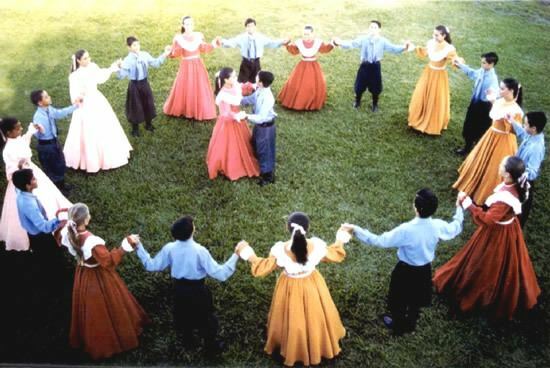 After some generations, the descendants of immigrants were integrated in the local society, even though their cultural influences are still strong, mostly in the countryside. Albeit these differences, the Gaucho people maintain a particular zeal for their culture and its variations. These are, notably the German-Brazilian cultural identity and the Riograndenser Hunsrückisch language (the estimated number of speakers are around one million and a half), spoken in the state since 1824; it received official recognition by the state House of Representatives in 2012 by unanimous vote. Also, as the result of European immigration stated in the 19th century, the state has an Italian culture and language of its own, the Talian language (a Veneto-based language/dialect), spoken mostly in the highlands region, at the so-called Old Italian Colonies in the upper state (see Italian-Brazilian). Essentially, the vowels [e] and [i] are both reduced and devoiced (or completely deleted) in final word position, and sometimes also when unstressed and between consonants, always palatalizing the previous consonant. The vowels [o] and [u] are also reduced and devoiced to [ʊ̥], analogously to what happens in Japanese (see Japanese phonology#Devoicing). More rarely, [a] may become [ɐ̥] as well.